Are all billet oil pump gears created equal? Thanks for the replies guys. I'll make a few calls today. I definitely want to do the gears with the cams. MMR in mine. 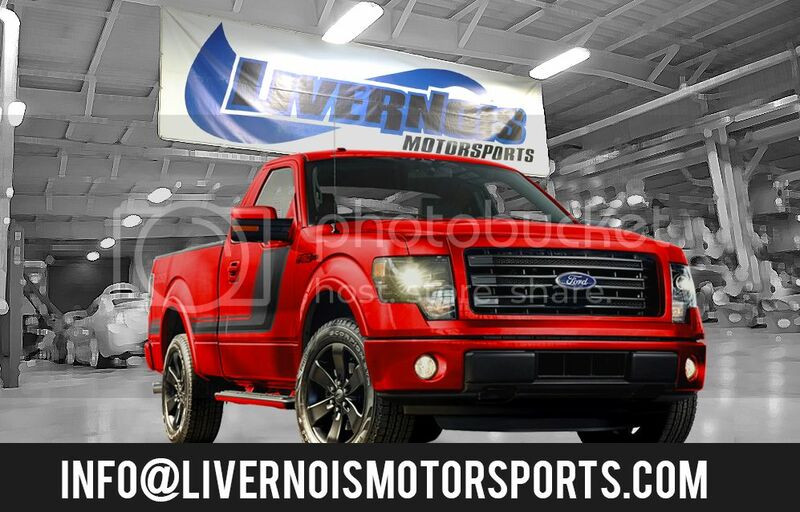 I know a lot of F-150 guys use Boundary OPG's with success as well. Can I ask what is different about the setups with the mustang oil pump vs the f150 that doesn't allow the gears to be swapped out without changing out the entire pump? The Mustang gears are indeed thicker as another member had mentioned, and will not fit into the F-150's pump housing. So we run the Mustang pump that would allow you to run the thicker gears on the trucks. Thanks Livernois for the response! You've been very helpful. I'll definitely look into your OPG and pump setup for my truck. From what I understand they were smaller to help meet cafe standards? Either way thanks again to all who helped steer me in the right direction. What hardware will be needed for this swap? Can bolts I assume, I think they're TTY. Do the Mustang and the F150 use the same bolts? And what about for the oil pump? Is there an install kit or are any of those bolts TTY? Thanks for any help or info provided. Again look on MMR’s site. They have everything needed as add-on packages. You can at least get a feel for what you need. If you are going to do the opg’s, then make sure to do the crank sprocket as well! That’s another failure point for those that rev it out. Really. I haven't really seen many discussions around this. This job is just getting more and more costly! You are very welcome, happy to help out! Thanks for the kind words as well. Our setup would be just the pump with the gears already installed. While the bolts are not required to be changed, we do always suggest to install new bolts while you are in there. They are not TTY to my knowledge and there shouldn't be any modifications needed to install the loaded pump onto an F-150, but I will double check with the the guys in engine build when they're back in the office tomorrow morning about the bolts to confirm this and let you know if they tell me anything different. Quick Reply: Are all billet oil pump gears created equal?